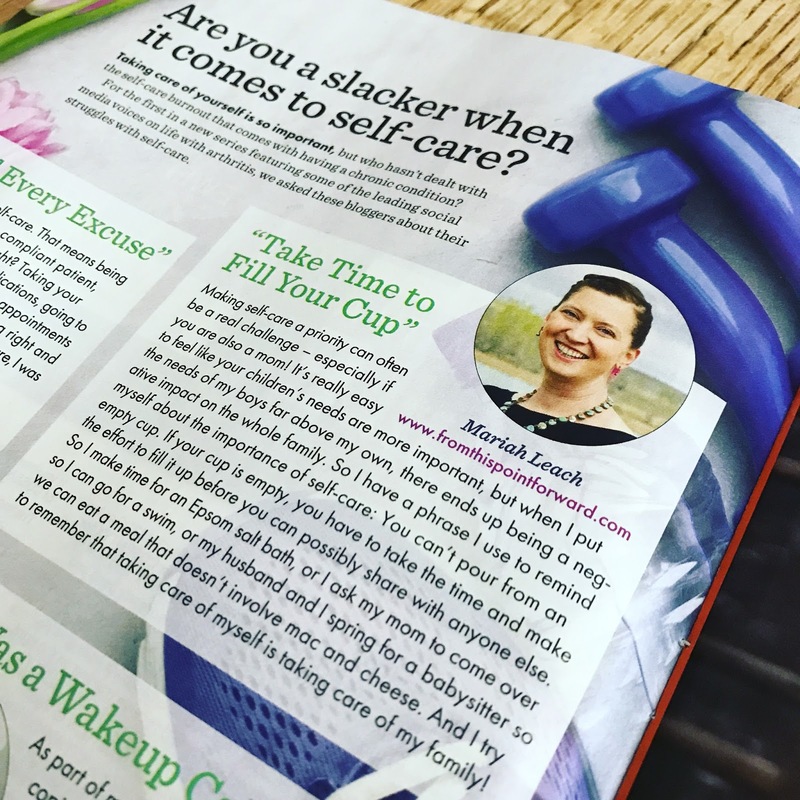 I'm honored that I was asked to share advice about self care for the newest issue of Arthritis Today magazine! Especially because I got to be featured alongside two other amazing bloggers. If you aren't already familiar with Six Hips & Counting and Arthritic Chick I highly recommend checking them out! You can read the online version of the article here! I did and all three of you did great work. I think it is a great addition to the magazine.